I think that everyone wants to know how to get traffic to their website fast and easy. It can be both. Moreover, it can be an enjoyable experience to get the first visitors to your site. Later on, things will get rolling by themselves like as a snowball. You see, once you make it right, it grows larger as long as it runs. When I was starting an online career, I was a little bit worried about how am I going to find all the solutions to all of my questions and pressing problems by myself. Luckily, I have found them all. You know the one ‘seek, and you shall find’? It works! If you are starting your blogging journey, or you have some other kind of website in your mind, getting your initial traffic will be a tricky task. With help from this post, you will have no troubles in finding the right source of traffic as from today. In the text below we will discuss two types of traffic you can get. I will share my experience on how to get both. On top of it all, I will show you my secret place where you can go and reach out for free traffic all day, every day! If you are ready, let’s get this party started. Getting the first traffic can be difficult for most of the beginners out there. I have been the one not so long ago. You see, like with every other business, an online requires a fair amount of time spent in getting things done right. Free or organic traffic is the kind that comes to your website naturally after you build your site and create your content correctly and follow some of the basic SEO practices. Understand that organic traffic has to do a lot with following the instruction on SEO (Search Engine Optimization) practices by the letter which we will discuss after I explain these two types in more details. If you do everything right, after some time of gestation and incubation in search engines such as Google, Bing, and Yahoo, you can start to see your content showing up on top pages of mentioned search engines. The traffic that comes naturally from those search engines is entirely free, and in most cases, it is evergreen. For this matter to happen, it takes some time, but it happens. Imagine you write a book. Once you finish and publish the book, you do a little bit of promotion and viola! Your work is done. To promote your material and reach for some free traffic numbers, you can leverage social media such as Facebook, Instagram, Pinterest, Twitter, and others. Social media is a valuable addition to your free traffic count, and it is easy to get it. Pretty much the same as with search engines, social media free traffic takes some time to happen, but it happens too. Now, if you have some cash to spend and winning formula in your sleeve, you can start immediately to run a paid advertisement on already mentioned search engines and social networks. All of them allow you to run ads for more or less the same money. I have to say that running a paid advertisement is not cheap! However, if you follow some professional instruction that I will share later or, you can get on your site a few strictly targeted visitors who know what they are looking. In most cases, they are also ready to take action, unlike visitors that will come from the organic source. Paid traffic sources have rules similar to the organic one. You will have to follow them if you want to see some things happening. It means organizing your content to be helpful, and easy to digest by the reader in both cases. Like every other good business owner, you should not shy away from investing a few bucks in your work. Have you heard the one ‘money sticks to money’? It works also! If you are ready, let’s quit this raw theory and start explaining how to get a little bit of both. There are a few rules or guidelines to follow when we speak about how to get free traffic. All of them are critical and necessary. Otherwise, if you miss any, you may risk failure. I have ‘burned my skin’ by not listening completely. Finally, I have concluded that the following are going to get you there pretty fast. You don’t have to make my mistakes. Instead, take them as a lesson. It will save you much time and work which is my primary objective. What the hell is this, Ivan?! Low Hanging Fruit? Let me explain briefly, please. In all of the niches on the internet, the first 10-15 pages on Google go to the authority sites. However, by using the Low Hanging Fruit method, you can squeeze your site somewhere between those authorities pretty fast and, therefore, take your share of the free traffic. The point of this method is to go one step further than the sites that hold the throne to find some long tail keywords. For example, if I want to rank for ‘how to get traffic on your website?’ keyword and I know that large players within the niche have already taken top spots, all I have to do is to be a little bit more creative than they are. Let me explain how to squeeze my site between them. 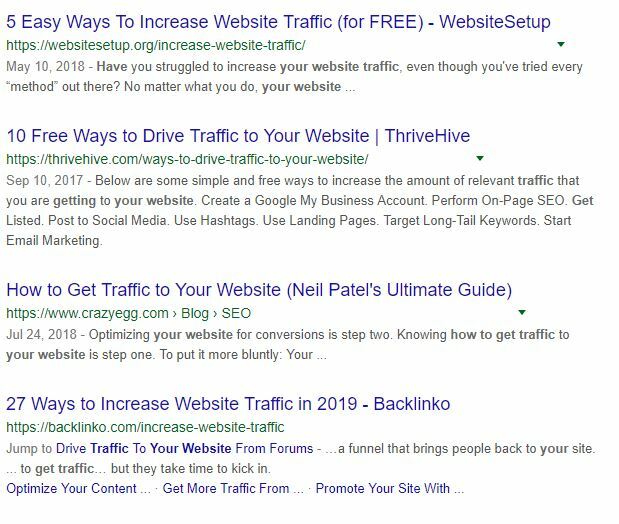 On the image below are shown Google search results for selected keyword ‘how to get traffic on your website.’ As you can see the number of results is enormous, and frankly, frightening. However, Low Hanging Fruit Method teaches you to expand the search query by adding additional terms to your keyword research. In my example, I will go further than the rest and add ‘free vs. paid’ to my keyword. By doing so, my selected keyword grows a ‘long tail’ and narrows the number of competing websites when I ask Google the same question again. As you can see, I was able to cut 4/5 of competition by expanding my search term and creating a long tail keyword. It also means that if my content is high quality (I’ll explain this in a few moments) and matches the quality aspect of the leaders in the niche, I am going to cut my chances to get in the top ten spots by half or more. Also, by using Jaaxy keyword research tool, I am getting an insight into another important aspect in the Low Hanging Fruit Method. That is, I can see against how many websites do I have to compete, as well as, what is the expected traffic volume if I get it right. Those two pieces of information can help you rank your site fast and effective by merely understanding how do people use Google to find answers and solutions. How to Get Traffic on Your Website + Free Vs. Paid = long tail keyword or low hanging fruit which is, therefore, easier to pick. I hope you now get the name of the method. This tactic is easy, fun, and straightforward once you do it for a few times and get a mental grip around it. By the end of this post, I will share my top secret place where you can learn to use and leverage the Low Hanging Fruit Method for FREE. Also, you can get two websites for free, access to beginners course as well as the largest affiliate marketing community online. It is worthy of your time, so stick with me. While I was doing some research about how to get organic traffic on my website, I have discovered an exciting method which almost guarantees the top spots as your site matures in Google and other search engines. If you want to ‘plug in’ your website to a source of a vast quantity of free traffic you will have to be willing at all times to offer a little bit more than the rest. You see, Google and other ‘bosses’ will, first and foremost, show their affection to people or in our case websites that are offering the highest quality and quantity of the service. Now, the question is, how can you know how much more you have to give? There are a few tools out there that can help you with this matter. One of them is my favorite keyword research tool, already mentioned, Jaaxy. This fantastic tool lets you see the ‘inside stuff’ of your competitors. It tells you how many words they have included in their piece, how many backlinks they have, and a lot more of the secret stuff. All of these metrics play a significant role in SEO. By leveraging this information, you can architect and create more than the guys on the top page. Just write more than they do, take care that your content is in flow and it helps, and as I like to say, let go and let Google. If Google and other search engines crawl your website and find something that offers more than top ten guys, it will give you high rankings as well. You can leverage a lot of free traffic by following these two SEO strategies. This strategy is golden, so listen carefully. You see, by sharing your work with other like-minded individuals, you will get a chance not only to get free traffic for your site but free critique as well. Why would I want to be criticized, Ivan? You are losing it again, man. You see, I know how people don’t like the critic, almost everyone hates it except me haha. Therefore, here is another free advice. When you get criticized (and you will, a lot! ), perceive it as constructive — someone who knows more than you is trying to show you what can you do better. If you follow the advice, well, guess what? You will get better! Now, let’s get back to networking and where you can connect with other like-minded people free of charge. In other words, get free traffic. To get free traffic from networking, you should find a place where you can share the link to your site with other bloggers and ask them for comments. In return, you exchange your time to visit their website where you reciprocate the favor. The benefits of this strategy are numerous. I found it to be one of the most significant discoveries in my blogging career! The one advantage is free traffic, of course. But there is more, much more. You see, Google values sites which provide solutions, high-quality material, and interact with their visitor. It rewards those sites with much higher rankings compared to websites which don’t engage their visitors to participate in the discussion. So, how do you interact? By leaving your comment and asking a question, of course. As promised, I will show you my secret place where to get this kind of traffic as well. Now, this one requires some external work which means that you will have to get busy on social networks and start to build some following. This method can take some time as well. By the end of the first year, you can have a good audience outside of Google, Bing, and Yahoo. By leveraging social media, you can create a steady base of readers on your blog. All you have to do is to keep them entertained and share your content regularly. The clicks will follow by themselves. I won’t stay too long on this one because I have no expertise yet. However, as soon as I collect some more working knowledge, I will come back and update this section. There are tens, even hundreds of blogs and forums in your particular niche where you can engage to get some free traffic. You can start interacting with people on forums and from time to time drop the link to your site. If you follow the rules of the discussion, stay engaged and helpful, you can build a name for yourself very fast. It takes much spare time, but it is a valuable method. Furthermore, you can reach out owners of some of the authority sites in your niche and request to write a guest post. Once approved, all you have to do is share your knowledge with their readers. The owner of the blog gets a free blog post related to his niche, and you get to leave the link to your niche site together with an open invitation to click through if they like your writing. Both of the methods take a lot of spare time. However, the traffic is free and evergreen, and that is what we are looking to get here. Now, before we move on to paid methods, I want to emphasize something one more time. Stick to these four, do them one by one correctly, and there should be no problem in getting free traffic on your site. Also, stay connected because by the end of this post I will share my secret place where you can access free traffic all day, every day. Moreover, you can learn everything that I am sharing right now in a more interactive form of video material. If you don’t care about the paid advertisement, please skip on the end of the post because I am sharing a link to my secret place where I go and collect free traffic all day, every day. If, however, you have some cash to spend on paid advertisement, you are welcomed to stay and continue to read because I will share some of my experience with three different sources of traffic. Google is pretty straightforward. It lets you target the same keywords, by using the same methods mentioned above. You can pay Google to rank you on the first place instantly. All you have to do is open a Google Ads account and start bidding for keywords. In my experience, Google is expensive for beginners and more suitable for seasoned website owners. It takes a lot of time to learn and practice this method. Not to mention how much it costs to do it right. There are a million places online where you can learn about Google advertisement. Sadly, this is not the place. To run ads on Facebook can be very fun. Moreover, it is not as much expensive as it is with Google. The best feature of FB ads is that it lets you target your audience by their interest. So if I, for example, want to run this post as an ad on FB, I can narrow down my audience by selecting people who have shown some interest in the topic. It helps to decrease the cost of ads as well as to target more specific reader. Now, here we are at my favorite, Pinterest. You see, Pinterest is run by women mostly. Over 70% of users are females. That is why on Pinterest you can get the best audience there is! If you have an extra hundred to spend per month, my recommendation is to check Pinterest ads. You can get thousands of clicks per month for that price. For the last year or so I am a member of the best affiliate marketing community online. Wealthy Affiliate has changed my perception of doing business online to a point where I can see things with more clarity and learn with such a speed, that it makes my head spin. You can find there all you need to learn and master the art of affiliate marketing. Moreover, if you stick with them for one year, you will reap some great results in the end. Furthermore, you will get valuable experience with which you can multiply your success over and over again. As I have mentioned, they have some cool stuff when it comes to getting free traffic on your website. You can get visitors on your site in the first few hours. All you have to do is to follow some instructions they give, and you are ready to roll. Wealthy Affiliate is a top player in the affiliate marketing training niche. They can offer you stuff that none of them can. 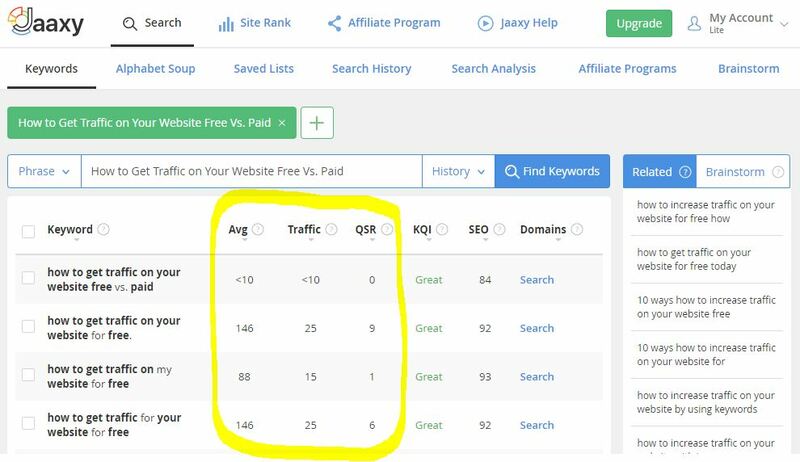 You can get free websites, free training, access to a vast community of affiliate marketers, keyword research tool (Jaaxy), live help, and much more! Feel free to check it out and join us on this exciting adventure. Wow, thank you for this comprehensive post with guides on how to get free traffic vs paid. I agree with everything you said and I would like to add that for people new to blogging it is best to utilize free traffic than paid traffic. Also, I love your guides to creating a keyword, always mess things up there, luckily this was timely for me. Hi Rahye, I couldn’t agree more with you. Keep in mind that keywords are the core of your business. Here is another advice. Before buying any SEO tools to analyze your rankings, submit your sitemap to Bing as well. It should start ranking your content much sooner than Google and it is a good indication of what should you expect from Google’s organic traffic. You will see where did you do good keyword research and where should you do more. I love this post man. I have even learnt about something I did not know, pinterest ads and I am thinking of starting those ads soon for my website. Currently I am using all your methods and I am happy to know I am on the right rack with these. Hi Thabo, try them definitely! Pinterest is a social network full of people who are looking to learn, do things by themselves, share tips and advice. I like it a lot. Compared to other social networks, Pinterest is educational. It has value in my eyes. Talking about the ads. Their ads are not expensive. The best thing is, you can run a promotion for 5-6 days for small money. Hopefully, your pin will get repinned a lot if you make it attractive. Once you stop the promotion the snowball should keep on rolling. Very interesting post! I like how you explain everything step by step. I totally agree about Pinterest. I’m a big fan of it. Hi Lejla, thanks for stopping by I appreciate your comment. I hope my article helps you to get more traffic to your website quickly. 😀 It’s nice to read that you have a strategy in your mind. Even better is to hear that you won’t give up no matter what! Way to go, man. Maybe you haven’t put out your best work yet, or perhaps you need to add some more time to build your authority in your niches. That’s why I prefer to work at one site at the time. The concentration of effort is much higher. My first website is ranked on the top all over the Bing search. All of my posts are climbing up as the days go by. Google is a different story just because of the competition and the size of the niche. I picked a large niche to start with. I’m attacking my Goliath. However, I got some excellent signals from Google telling me that my work is getting valued. Search Console is easy to read. To conclude, it’s a very competitive niche, and it’s going to take more than one year. If that is your case as well, than paid traffic methodology is a way to go while you work on your authority with Google. Searching what the competition is doing on the first page is important, without knowing what you are against will keep you from ever getting to page one. 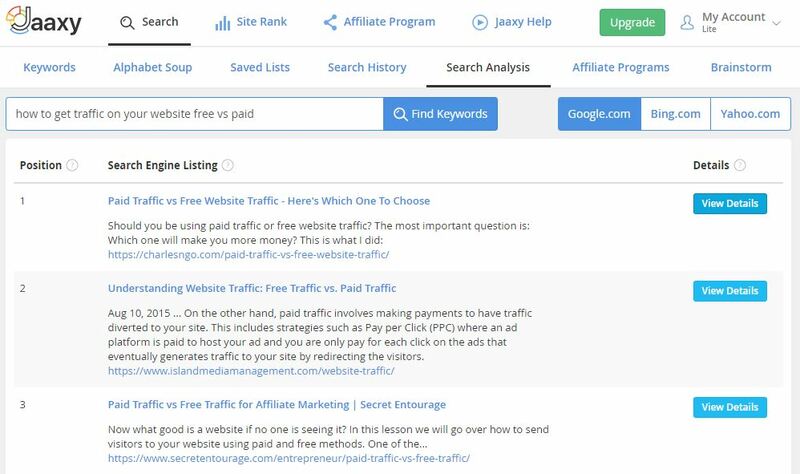 Jaaxy will give you tools that if used properly with the training on Wealthy Affiliate will give you a website that will give you something in return. I started rewriting old post with some of the current keyword training that is now available. I did learn some valuable information from this post that should help in my journey. 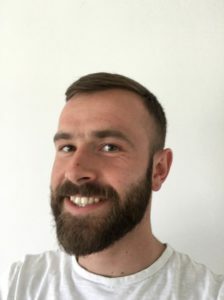 Hi John, it’s great to see that you have discovered how to increase the traffic to your website using Jaaxy as your tool. It does help a lot to do the job. Low Hanging Fruit Method has changed the career of many affiliate marketer for the better. Keep on practicing and learning at Wealthy Affiliate! I stuck around in the paid ads and read before I got to the secret baby money maker of free traffic. I am part of that secret traffic maker and love it, but the thing that really got me was the Pinterest idea of spending an extra hundred a month. I created a Pinterest account and Instagram and Facebook and Tweeter or DimTwit or whatever that is called but never use them they just sit there. Once the free traffic begins to make a little more money I’ll reinvest to Facebook and Pinterest traffic I can do one now but rather build more $$ from the free traffic first. I don’t know why I forget that and will bookmark this page to remind me again. Hi Jason, well, you can use your Pinterest account to post and publish your work for free as well. It takes time and a lot of publishing work to get your Pins noticed. However, after some time and a lot of published posts, you will get a nice amount of free traffic from your social network channels. Once you get rolling organic traffic and you start getting some sales, the wise move is to invest that money into some sort of a sales funnel such as an advertisement to get email subscribers. Please do, bookmark this page and come back whenever you need a piece of free advice. I’m more than happy to help you out if I can!